An engaging connecting story that dives into the heroes' personalities. 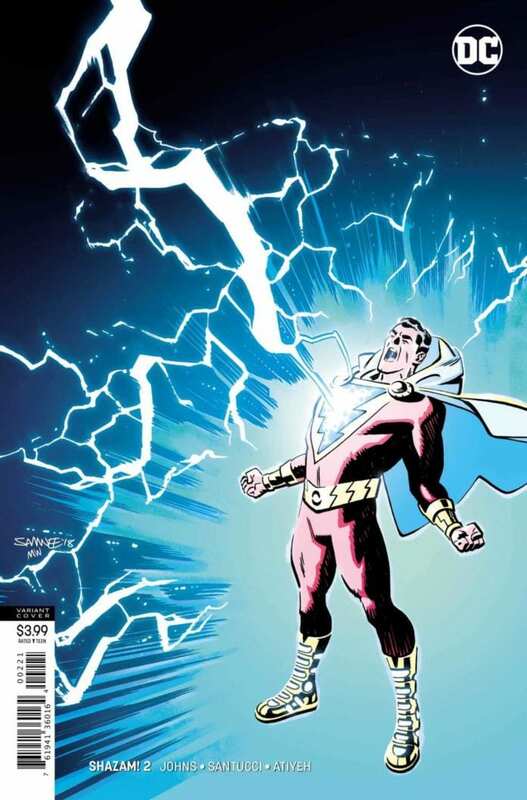 The second installment of Geoff Johns’ SHAZAM! series expands on the themes of family established in the previous issue. We’re given a deeper look into the inner workings of Billy Batson’s foster siblings and the dynamics that play into their relationships. In this issue, the champions of the worlds of magic are faced with a crossroads as they decide which destination upon which to embark via a magical subway. Johns focuses his story on the concept of family building, which is what he’s often claimed has been the core aspect of SHAZAM! comics since their inception. Billy’s status as a foster child allows for great storytelling as he learns what it means to create a family. In that vein, the story takes us on a journey with Billy and his foster family into the “Funlands”, one of seven magic lands the heroes discover while visiting the Rock of Eternity. There was little that took place in terms of action throughout this issue; it chose to focus on the characters’ interactions with one another. But Johns doesn’t disappoint in this regard. When trying to choose a magical land destination Mary, the eldest sister, shows she’s a responsible and concerned sibling when attempting to manage the excitement of the younger children. One of these children, Freddy, exudes the energy of a hyperactive puppy over the prospect of visiting the Funlands, making the clash between him and Mary exemplify a classic case of bickering siblings. Of the characters’ personalities, however, it was Billy’s that proved to be the most engaging and relatable in this story. The reader experiences the true dilemma facing any child of his age: choosing to be responsible or engage in a fun activity with friends instead. Amazingly, Billy finds ways to balance these two inclinations, showing his development as a character. Marco Santucci gives us crisp, clean artwork fitting of the comic’s action-packed theme. Mike Atiyeh’s coloring works with this beautifully, creating seamless transitions that take the heroes from dark caverns to brightly colored theme parks. These aspects quite literally illustrate the differing feelings of each hero: from the unyielding doubt Mary faces to the shining optimism of Freddy, the reader is drawn further into the cacophony of emotions in this family. Rob Leigh’s lettering grants life to each character’s dialogue. There was no confusion as to who was speaking despite the vast number of exciting characters in this issue. 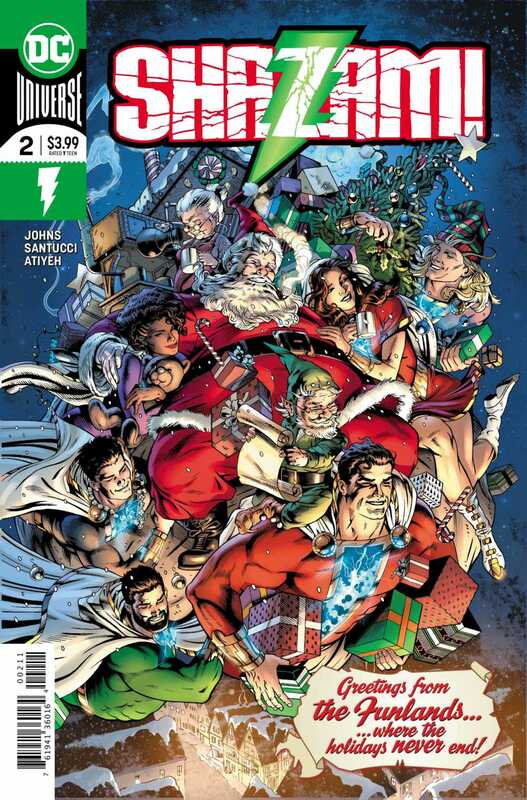 On another note, Dale Eaglesham and Alex Sinclair’s holiday-themed cover art was quite misleading, though this may have been due to the release date changes. Nevertheless, it would have been great to see a bit of the Funlands theme park in the cover art instead. SHAZAM! #2 was an engaging connecting story, but offered little in terms of plot. Despite this, it was great getting to see what each character was like. Hopefully this issue serves as a stepping stone toward a much more elaborate storyline to come. What did you think of SHAZAM! #2? Let us know in the comments below!